"Ere many generations pass, our machinery will be driven by power obtainable at any point of the universe... It is a mere question of time when men will succeed in attaching their machinery to the very wheelwork of nature." 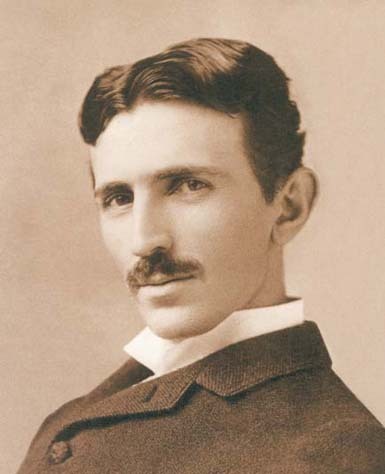 Nikola Tesla (1856-1943) was an inventor and electrical engineer who became famous for discovering the alternating current (AC) that is used all over the world today. In addition, he made significant discoveries that advanced technologies such as the fluorescent light, laser beam, wireless communications, wireless transmission of electrical energy, remote control, and robotics.